Joseph Cabaret, MD Contents About Practice What Makes Dr. Cabaret An Expert? When you entrust your pain treatment to Dr. Cabaret, you can be sure that you’re in good hands. Dr. Cabaret is a triple Board Certified Doctor –that means, Dr. Cabaret is an expert in Anesthesiology, Interventional Pain Medicine, and Addiction Medicine. Doctor Cabaret is a native Californian who lived and attended school in Italy, graduating medical school from the prestigious University of Bologna School of Medicine and Surgery. After returning to the United States, he completed his Internal Medicine Internship and Anesthesiology Residency at the University of Southern California in Los Angeles and now lives and practices in Camarillo, California. Dr. Cabaret is also an instructor for the American Society of Interventional Pain Physicians, a peer reviewer for multiple Utilization Review companies, a Practice Monitor for the Medical Board of California, and a Consultant and Speaker for the pharmaceutical industry. He has given presentations on pain management to the Medical Staff at St. John’s Regional Medical Center and Community Memorial Hospital and was nominated for the Spirit of Collaboration Award at St. John’s Regional Medical Center in 2013. He is Founder and Director of the Pain Management Support Group at Camarillo Health Care District and Volunteers at the Westminster Free Clinic in Thousand Oaks. He loves devoting time to his wife and family, travel, athletics, reading, and helping others, especially helping patients take charge of their pain and lead full and rewarding lives. Learn more about Dr. Cabaret’s extensive knowledge, his training, and education and his research, below. 2013-2015: Speaker/Consultant, Janssen Pharmaceuticals, Inc.
Y. Torigoe. J.C. Blanks, R.H.I. Blanks, J. Cabaret, “Ganglion Cell Loss in Maculas of Patients with Alzheimer’s Disease”, Society For Neuroscience, 15: 1112, 443.12, 1989. Joseph A. Cabaret, M.D., Cristine Spee, Janet C. Blanks, “Ectopic Photoreceptors in the Developing Human Retina”, Investigative Ophthalmology & Visual Science, 32/4: 1128; 2246-7, 1991. Donna Warner, M.D., Joseph Cabaret, M.D., David Velling, M.D., “Comparing Oral Ketamine, Oral Midazolam, and Combined Oral Ketamine and Midazolam as Premedication for Pediatric Patients”, Paediatric Anaesthesiology, 1995; 5 (5): 293-5. “Ectopic Photoreceptors in the Developing Human Retina”. Presented, with funded travel, at the Association for Research in Vision and Ophthalmology Annual Meeting in Sarasota, Florida, May 2,1991. “Coronary Blood Flow and Cardiac Wall Motion During Controlled Hypotensive Anesthesia with Intravenous Nitroglycerin”. Presented, with funded travel, at the European Anesthesia Research Group 7th Annual Meeting in Hamburg, Germany, September 8, 1994. “The Use of Prophylactic Nitroglycerin Decreases the Incidence of Myocardial Ischemia in High Risk Patients Following Major Surgery”. Presented, with funded travel, at the European Academy of Anesthesiology 16th Annual Meeting in Hamburg, Germany, September 10, 1994. “Comparison of Three Oral Premedicants; Ketamine, Midazolam, or Combination Ketamine and Midazolam for Pediatric Outpatient Surgery”. Presented at the Western Anesthesia Residence Conference in Marina Del Rey, California, April 23, 1995. “Peripheral Neuropathy Treatment Options”. Presented at the Camarillo Healthcare District Peripheral Neuropathy Support Group meeting in Camarillo, CA, February 23, 2012. “The New Opioid Paradigm – Keeping Yourself and Your Patients Safe”. Presented for CME at St. John’s Regional Medical Center Internal Medicine Grand Rounds on October 15, 2012, and as CME lecture for St. John’s Medical Staff (videotaped for Physician Portal website) on October 22, 2012 in Oxnard, CA. Presented for CME at Community Memorial Hospital’s J. W. Moore Conference on January 8, 2013 in Ventura, California. 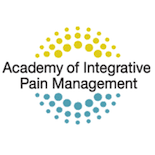 “Non-Opioid Pain Management Techniques – The Sequel”. Presented for CME at Community Memorial Hospital’s J. W. Moore Conference on August 27, 2013 in Ventura, California. Presented for CME at St. John’s Regional Medical Center Internal Medicine Grand Rounds on October 21, 2013, in Oxnard, CA. “The Prescription Drug Epidemic – Is Your Practice at Risk?” – Presented for CME at St. John’s Pleasant Valley Hospital in Camarillo, CA, February 14, 2014. “Sports Injuries and Arthritis” – Presented at the Camarillo Healthcare District in Camarillo, CA, July 15, 2014. “Neck and Back Pain” – Presented at the Camarillo Healthcare District in Camarillo, CA, September 16, 2014. “Complete Resolution of Fibromyalgia Symptoms After Intravenous SVF Deployment” Presented at The Cell Surgical Network Annual Conference in Beverly Hills CA, June 2015. “Pain and Coexisting Disorders” – Presented at the Camarillo Healthcare District in Camarillo, CA, June 22, 2016. “Overview of Pain Medicine” – Presented at the California Society of Interventional Pain Physicians 7th Annual Meeting in Santa Barbara, CA, November 12, 2016. “Legalization of Recreational Marijuana in California – What to Expect” – Presented for CME at St. John’s Regional Medical Center in Oxnard, CA, January 25, 2017. "Transformative Solutions for Chronic Pain and Co-Existing Disorders - Turning Low Outcome Patients into High Outcome Success Stories" - Co-Presented, with Dr. Stephen Grinstead, at the 43rd Advanced International Winter Symposium, Addictive Disorders, Behavioral Health, and Mental Health in Colorado Springs, CO, January 30, 2017. "Chronic Pain Management and the Heroin Epidemic - It's Time for Evidence Based Medication Assisted Treatment" - Co-Presented, with Dr. Stephen Grinstead, at the 43rd Advanced International Winter Symposium, Addictive Disorders, Behavioral Health, and Mental Health in Colorado Springs, CO, January 30, 2017. "Overcoming the Challenges and Stigma of Heroin, Opioid, and All the Other Addictions - It's Time to Fully Utilize Evidence Based Medication Assisted Treatment (MAT)" - Co-Presented, with Dr. Stephen Grinstead, at the 43rd Advanced International Winter Symposium, Addictive Disorders, Behavioral Health, and Mental Health in Colorado Springs, CO, January 31, 2017. "Identifying the Red Flags for Opiate Misuse" - Co-Presented, with Dr. Stephen Grinstead, at the 44th Advanced International Winter Symposium, Addictive Disorders, Behavioral Health, and Mental Health in Colorado Springs, CO, January 29, 2018. "The Role of MAT in Addressing the Opioid and Chronic Pain Epidemic" - Co-Presented, with Dr. Stephen Grinstead, at the 44th Advanced International Winter Symposium, Addictive Disorders, Behavioral Health, and Mental Health in Colorado Springs, CO, January 29, 2018. "Fentanyl and Benzos Don’t Mix: But Many People Try To" - Co-Presented, with Dr. Stephen Grinstead, at the 44th Advanced International Winter Symposium, Addictive Disorders, Behavioral Health, and Mental Health in Colorado Springs, CO, January 30, 2018. "Self-Directed Holistic Modalities in the Chronic Pain Patient" - Co-Presented, with Dr. Stephen Grinstead, at the Institute of Behavioral Healthcare Summit for Clinical Excellence; The Clinician's Role and Treatment Practices in the Opioid Crisis, in Tempe, Arizona, February 15, 2018. “Resolving the Chronic Pain and Opioid Epidemics, Turning Low Outcome Patients into High Outcome Success Stories” - Co-Presented, with Dr. Stephen Grinstead, at the CAMFT 2018 Advancing the Art & Science of Psychotherapy Conference, in Orange County, CA, April 28, 2018.